Hiring an email marketing agency might seem pretty straight forward, but you don’t want to end up with an email marketing agency that is “not getting it” when they make suggestions, or barely making them at all. That can be the result of hiring the wrong email marketing agency, but other times it just takes a different approach. Here’s our top advice to maximise results from your new email marketing agency, especially from services. Email is often the lynchpin of any digital and direct marketing effort, and it continues to be one with the greatest ROI and prevalence. It’s therefore incredibly important that your email agency is providing you with relevant ongoing advice to ensure you’re staying ahead of the countless other organisations competing for inbox attention. If you haven’t already – give your email agency a “big picture” view of your priorities, direction and brand. They will then be much more likely to provide valid, valuable advice and feedback. Each new agency-client relationship should start with a maturity assessment so the agency knows where you are at and what the next most realistic and rewarding steps are. From thereon optional strategy workshops can determine customer personas and lifecycle, goals and metrics, and core data sets needed. Giving realistic budgets, and clearly prioritising goals and metrics from the start will allow your email agency to help craft tactics that maximise your email marketing ROI. Learning about the broader context of where email marketing and marketing automation will fit in, helps to highlight the most relevant email software features in a way that makes sense for your specific industry and objectives, leading to tangible improvements in bottom line results. Since email connects you directly with your customers, you want the people in between to be clued in to who those customers are, and what makes those customers tick. However, one of the major benefits of working with an external email marketing agency is that you also get a fresh perspective on how to reach out to your customers. It’s a good idea for your new account manager to hold a persona development session with you early on, so that their suggestions are both valid and fresh. We work with a lot of creative agencies who provide beautiful artwork and set the strategy. However, as the execution arm an email agency should always keep up to date with the technical advances in 1 to 1 channels, that gives them much more specialised knowledge than a general agency. By working with creative early on in their design process, the email marketing agency can make sure that projects are designed with all the latest possibilities in mind, and that they’re implemented cost-effectively given the aim. Save time going back & forth, and reduce the cost of making changes, by filling in campaign brief templates as thoroughly as possible for your email marketing agency. To ask for a good briefing is the first thing you learn when you start a consulting business. To avoid last minute changes, get approval of the filled in brief before delivering it to your account manager. While integration with other channels may not seem cheap, it is one of the top time-saving initiatives that will also drastically improve your overall marketing ROI (and your ability to measure it, if you’re integrating with a web analytics tool). 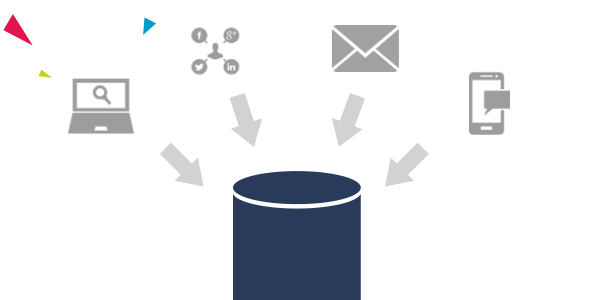 Automated integrations via APIs minimise time spent on importing and exporting data. Each channel will also be able to operate with more complete information about its intended audience. Furthermore, email marketing integrations allow you to do much more with triggered messages as well, which achieve much better engagement rates. If you have any sort of online interaction via ecommerce, promotional competitions or giveaways, social or mobile apps, or any other sort of web form, responding in real time to your customer with relevant messaging or content is much more engaging than sending out a newsletter when it suits you (but not necessarily your customer). Like with any product or service, the best improvements to an ESP platform or services are often a result of feedback from clients – the ones using the product every day – so don’t be afraid to provide that feedback! Sly’s enterprise email expertise spans multiple regions and industries, with over 11 years in account management, production and database analysis. Some of his clients have included the L'Oréal Group, ebay, Ford, Diageo, Pan Pacific Hotels Group, and many more. At Traction Digital Sly now leads the account managers to help clients strategically maximise what they achieve through email and other 1 to 1 channels. As an Email Expert Group Executive at the Association for Data Driven Marketing and Advertising, he provides industry-leading advice and stays ahead of the curve in digital best practice.